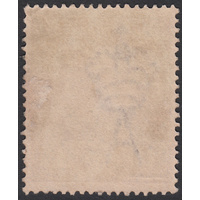 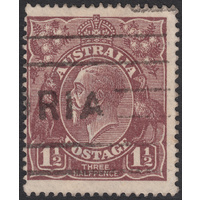 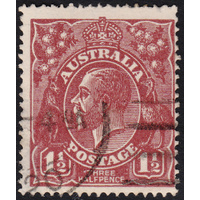 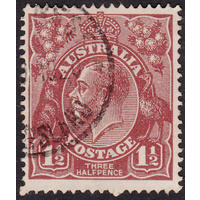 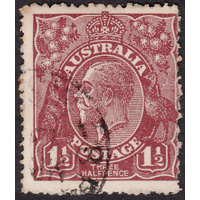 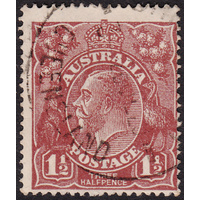 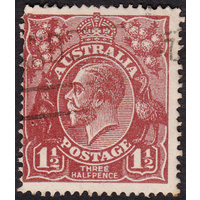 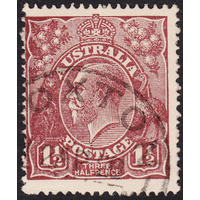 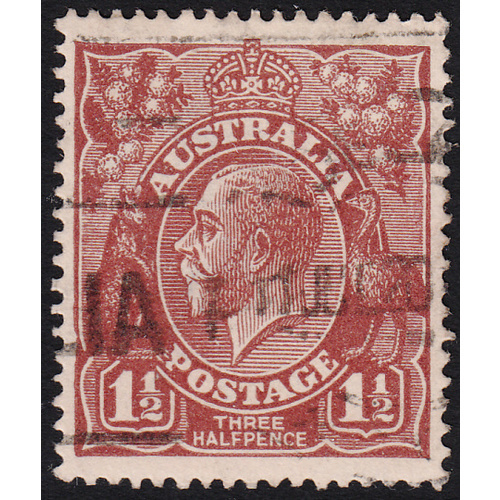 Australia KGV 1919, 1&1/2d Brown, Single Watermark, variety 3L8, Second State (Two notches in left frame above and below bottom projection point, small flaw below H of HALFPENCE) in Good Used condition with no faults. 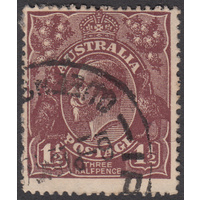 Well centered with a duplex cancellation (11th July 1920) passing through but not obscuring the variety. 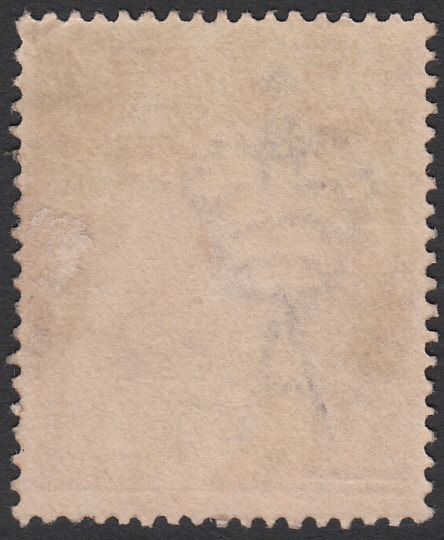 The second indicator is over-inked. 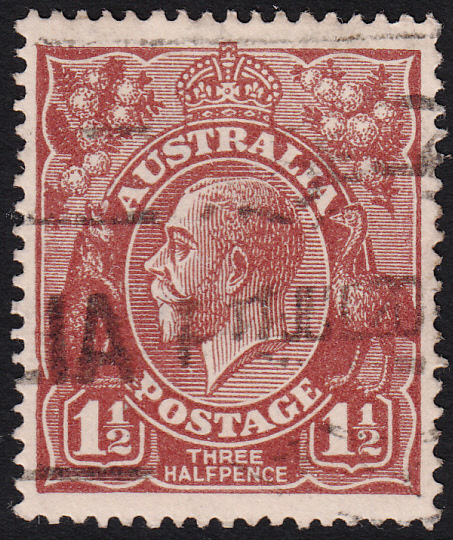 BW 85(3)ea.